The Transform Limiting Beliefs Formula Module contains everything an HSP needs to find out what is holding them back from achieving greatness and to heal themselves in the process so from now on they will in control of their lives. * You have a harsh Inner Critic, it is always putting you down and undermining your success. * You have nagging thoughts that tell you you are not good enough, that cast doubt on your goals and undermine your accomplishments. * You don't (always) believe in yourself and your abilities and you don't believe that you can make your goals happen. * You can be self-critical, self-denying, and even self-destructive. * Your auto-pilot programming is working against you instead of making life easier. * You don't feel like you are going to a destination which you have chosen and really want. You will learn what limiting beliefs are holding you back from achieving greatness and how to transform those limiting beliefs into supporting beliefs, so you can manifest the life you always wanted. You will learn how to re-program your auto pilot programs when the existing ones are negative or when you want to improve them, so they will help you achieve your goals instead of preventing you from achieving them. You will also learn an ancient healing ritual that will help you let go of things that are no longer serving you AND you will learn an incredibly powerful technique that let's you separate emotions form events, so you can finanlly let things go. NO MORE BLOCKS - Because removing the blocks that are holding you back will help you to connect with your True Purpose. NEW FOUND CONFIDENCE - Because releasing yourself from your limiting beliefs and transforming them into supporting beliefs will give you a new found confidence in your own abilities. LESS STRESS - Because you have let go of your fears and the voice in your head is now motivating you to achieve your full potential. GOOD AUTO PILOT - Because you re-programmed the auto-pilot programs that where not working for you. 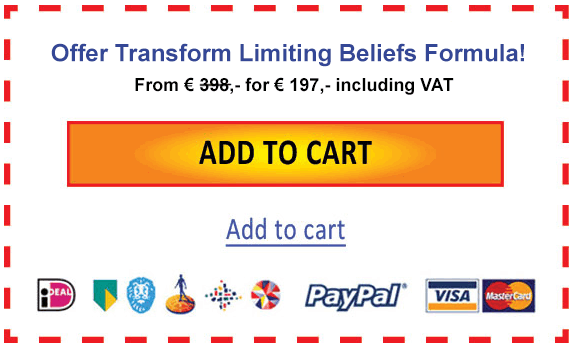 The Transform Limiting Beliefs Tool will help you to transform your Limiting Beliefs into Supporting Beliefs using a step-by-step action plan. The Negative Patern Eliminator will help you to transform your Inner Critic from a source of insecurity, doubt and pain into a true ally that supports your happiness and success. Ho'opono pono Protocol helps you to take responsibility for your self and your emotions and assists in letting past negative memories go. With EFT you have a powerfull tool to treat anxiety, depression, phobias & stress. It can also help promote recovery from traumatic events, alcoholism, and addiction, as well as improve wellbeing in people struggling with illness or chronic pain. The new Auto-pilot Design has everything you will need to re-program your auto-pilot so you will feel like you are driving yourself again.